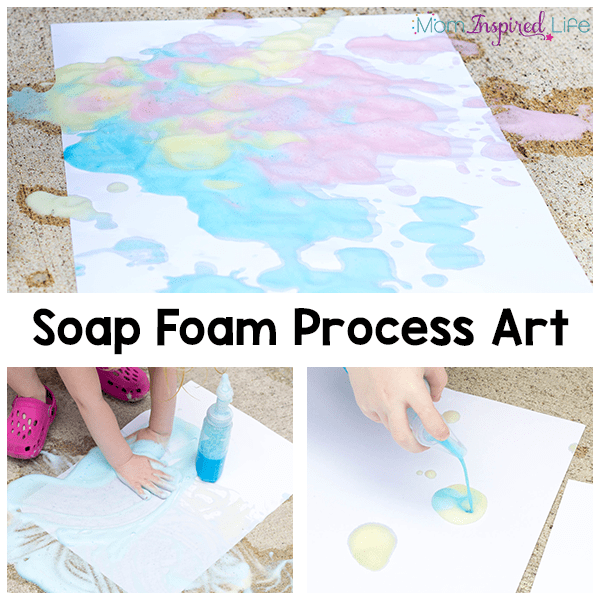 This soap foam process art activity was an awesome way to spend a summer afternoon! 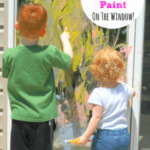 My kids couldn’t get enough of this fun art activity that also develops fine motor skills. 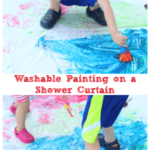 This is one of those activities that I came up with spur of the moment when I was trying to think of something fun and artsy for the kids to do. I had saved our soap pumps because I knew they would come in handy and decided today was the day I was going to use them. That’s when colored soap foam came to mind. I knew my kids would love playing with it as is, but I thought it would be neat to take it a step further and paint with it. 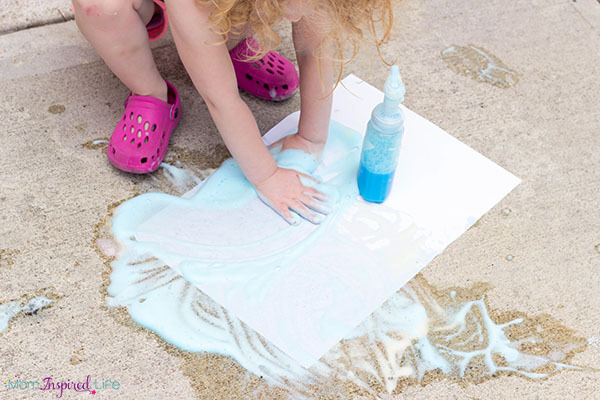 My kids love messy art projects (like this sidewalk puffy paint) and it was the perfect kind of day to get outside and create. So that is just what we did. Boy, was it a hit with my kids. I filled the soap dispensers 3/4 of the way full with water. 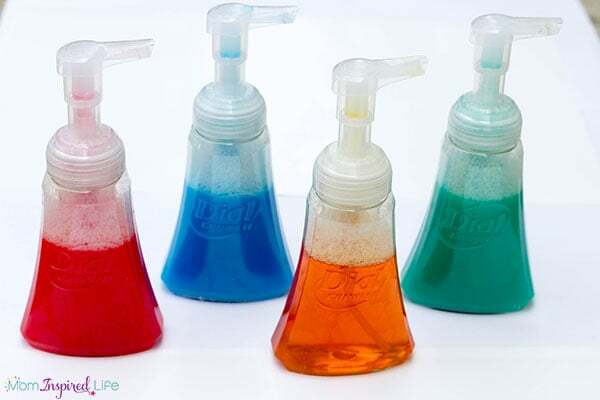 Then I squirted a few big squirts of dish soap in the bottles. 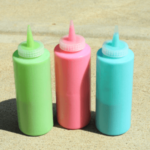 Finally I poured about an ounce of my homemade washable liquid watercolors in. 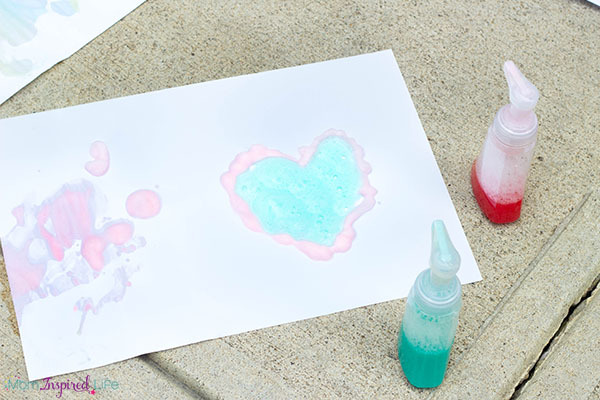 If you are using store bought washable liquid watercolors, you will probably only need a few squirts. I like to to use washable watercolors because skin and clothes don’t get stained like they do with food coloring or something else. Then I screwed the lid on tightly and shook the bottle gently to mix everything together. I placed a few sheets of regular easel paper and a few sheets of finger paint paper on the driveway. 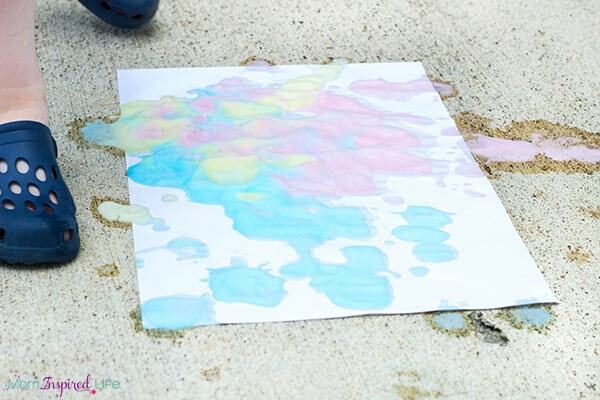 Then I put the soap foam pumps next to the paper and invited the kids out to check out our fun summer art activity. 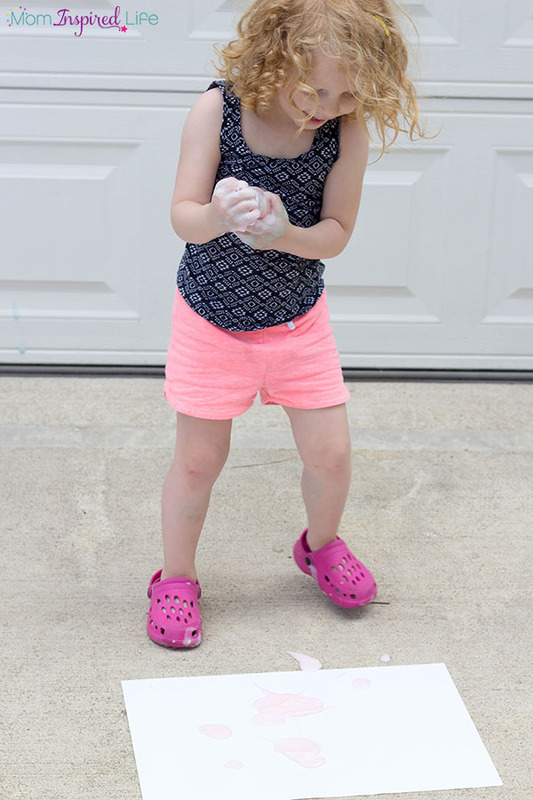 *We eventually decided that the finger paint paper was much better for this activity as the regular paper ripped after getting saturated with soap foam. They immediately got excited and began asking me questions about what we were going to do and how we were going to do it. 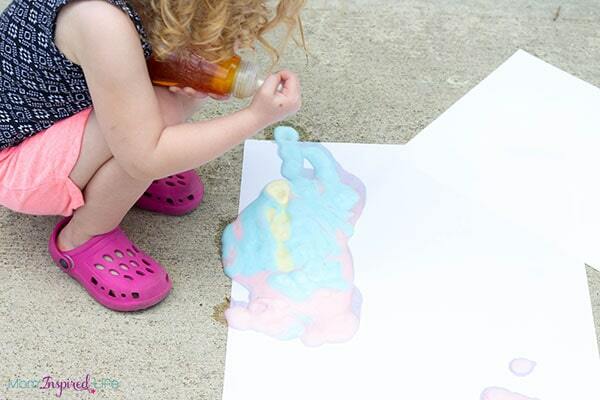 I quickly showed them that they could squirt the soap foam out on to the paper and make art. They couldn’t wait to start! 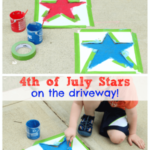 My favorite part of this activity is that it is such a great way to develop fine motor skills. Pushing the pump head down repeatedly really works on those small hand muscles. 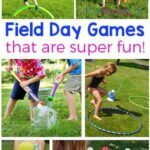 Both of my children can really benefit from this – especially my son who avoids typical fine motor activities. At one point he even used two soap pumps – one in each hand. Now that’s some fine motor work! My (almost) 3 year old spent most of the time pumping the soap and using her hands to move it all around on the paper. Like finger painting, but with soap foam. She loved the sensory aspect of this activity. She absolutely enjoyed getting it all over her hands. Look how happy she is in this picture below. She was literally laughing out loud (almost hysterically) every time the soap landed on the paper. 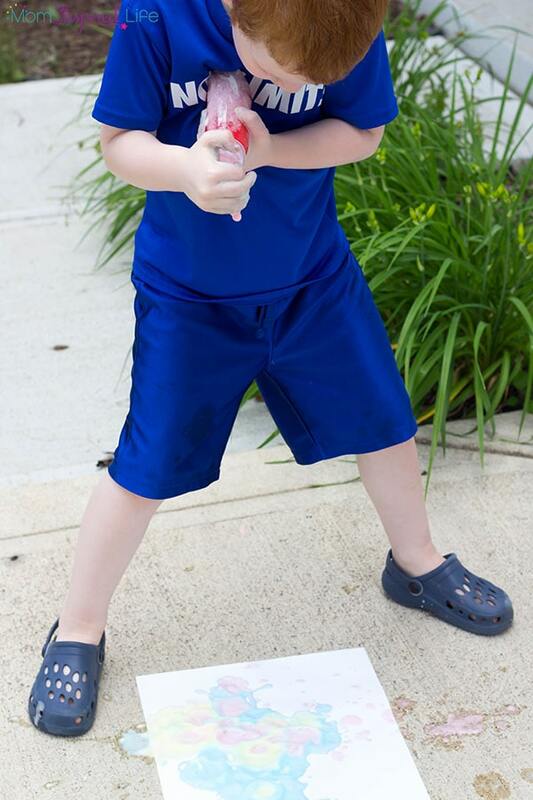 My 5 year old son took a different approach. He preferred to stand above the paper and pump the soap out so that he would fall to the ground and land on the paper. He did this over and over again. 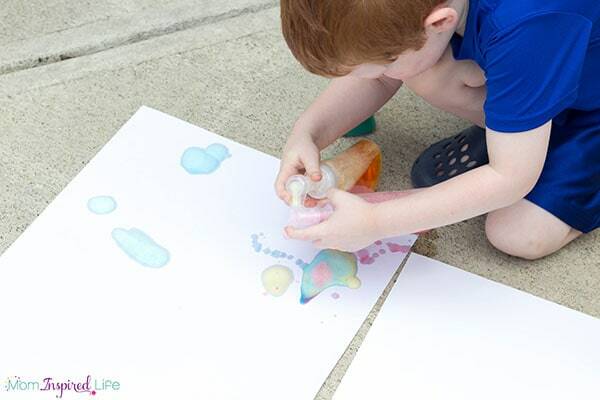 He even added some gross motor practice to this activity when he quickly walked around the paper while squirting the soap foam out. 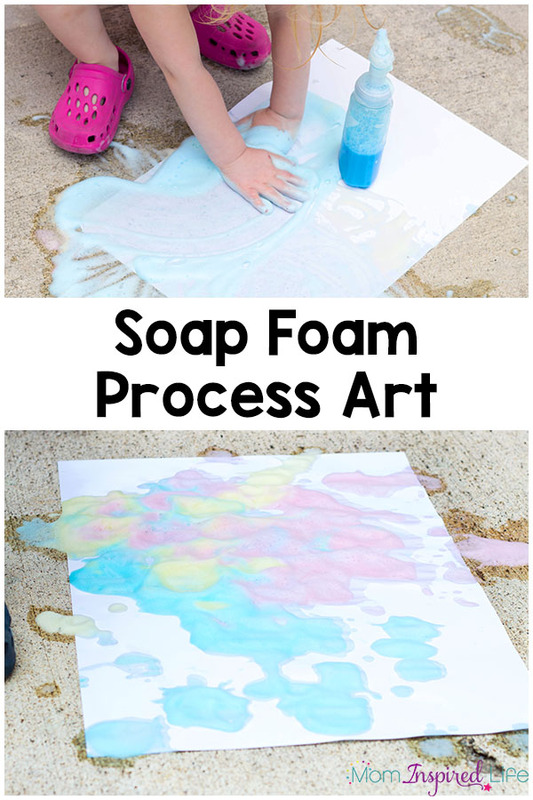 It’s so interesting to see how both kids had their own very different experiences with the soap foam. One thing they both had in common is that they loved this activity. They even told me we should do it again soon. I am more than happy to oblige! 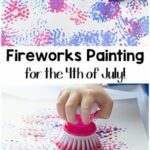 Here are some more fun art activities for kids!